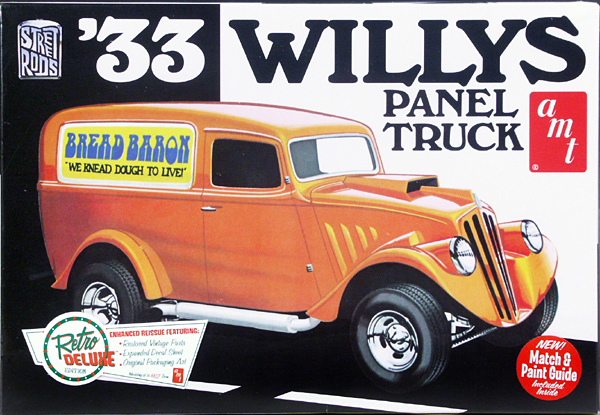 Home > Old Unbuilt Kits > 1930-1939 > AMT 1933 Willys Panel Van Gasser "Bread Baron"
Information: Molded in white. 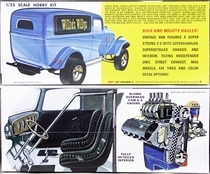 Includes S.O.H.C. 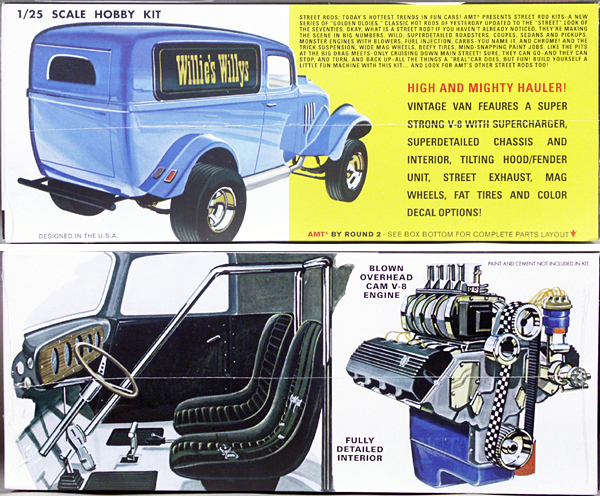 427 Ford blown engine, Hallibrand wheels and many other gasser parts.